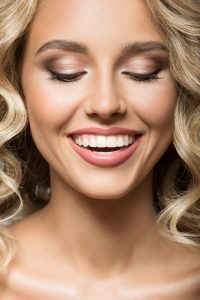 Transform your smile – whatever your budget! If you are looking to improve your smile we have a host of solutions at our fingertips! From a thorough hygiene polish to restore lustre and sparkle, to a complete smile makeover that uses a combination of dental treatments to dramatically transform the appearance of your teeth, we can help. The talented dentists at Thorpe Lea Dental offer a full range of smile enhancing cosmetic treatments. Following a discussion and thorough examination, we’ll create you an individualised, bespoke treatment plan that meets your unique needs. We may recommend dental hygiene services, such as Air Polishing; teeth whitening, the placement of natural-looking porcelain veneers and crowns, artistic composite bonding, or teeth straightening options including Six Month Smiles, Invisalign or Inman Aligner. Take the first step by booking a FREE consultation today. Whatever the event, we can help with a dazzling smile you’ll be proud to show off. If you have any niggles you would like us to take a look at, please get in touch. Missing teeth, gaps and old-fashioned dentures can have an ageing effect on your smile. We can help boost your appearance – and improve your eating ability with natural-looking dentures, bridges and dental implants. If you have any questions at all we are always happy to help, contact us on 01784 454 899.